Only ten more days... only nine more days... Before your birthday? Or the first day of kindergarten? Or the first day of school? Count down to a special event with this wooden calendar. 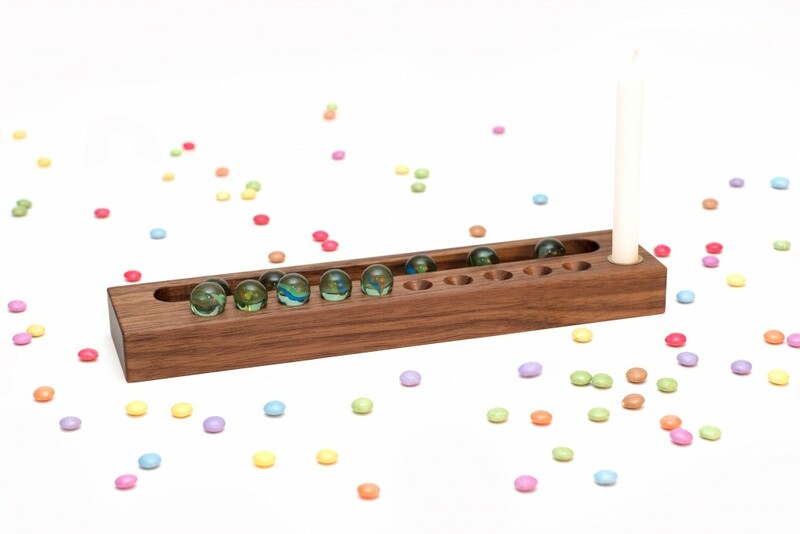 With our birthday calendar made from solid nut wood you can count down the last ten days before a birthday by placing marbles in the designated slots. Then mark the big day with a candle at the end!